Computers, as most anyone can tell you, tend to run slower over time. The main reason is the installation of unnecessary applications and add-ins. Sometimes, malware/virus also ends up on the computer without your knowledge and sometimes it's just simply the processor overheating. The worst case might be the hard drive having bad sectors and going to fail soon. In general, to speed up your slow computers, we will first do a full hard drive check. 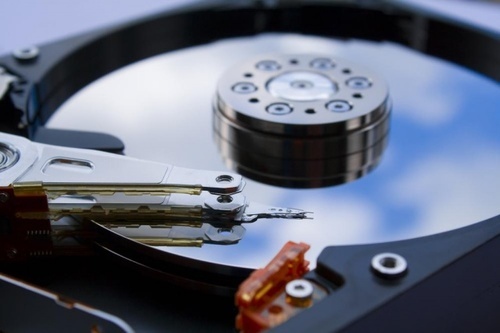 If the hard drive is the problem, we will try to back up your files first and advise the cost of hard drive replacement. If the hard drive works perfect, then we will make sure the processor and system temperature is reasonable low. If the processor is overheating, there might be dust build up inside the case and need a clean up, or sometimes it could be the malware/junkware running in the background. Next step is to remove any malware/virus/junkware, clean up free disk space and fine tune up system. 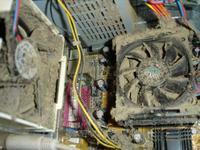 Most users will satify the speed after the computer being serviced. However, sometimes the computer might need an Operating System (Windows XP, 7, 8, 10, Mac OSX) refresh/reinstall due to corrupted/missing system files. There is still a powerful weapon if you are not happy about the computer speed at all even after the regular services. In terms of computer performance, the hard disk is the primary bottleneck for modern computers. With solid state drives (SSDs) now becoming just as prevalent on the market as hard drives (HDDs), and their cost decreases and storage capacities increase, it's time to upgrade your HDD to SSD and it might greatly improve your computer performance. Buying a new computer does not always mean you get a fast computer, particularly for the low-end computers. In general, an i3 system with a SSD will be running a lot faster than a i7 system with a HDD. Note for Game Computers: Graphics Card is the most important part for gaming. Call 0490 146 769 or fill the form below, we will arrange a time to assess your computer.